The Town of Wake Forest, the Wake Forest Area Chamber of Commerce, and Wake Forest Downtown, Inc. have partnered to develop and produce a new town map. The new map was published May 2014. Residents and visitors are invited to pick up a free copy in the lobby of the Wake Forest Town Hall, 301 S. Brooks St., and the Wake Forest Area Chamber of Commerce, 350 S. White St., during normal business hours. 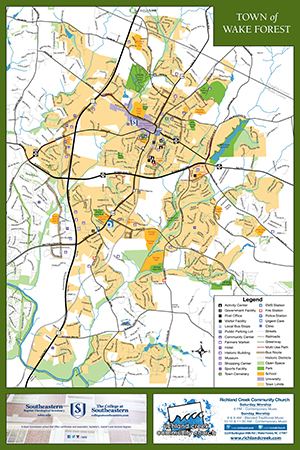 One side of the new 12" x 18" map displays key places that residents and visitors may want to find, including schools, shopping centers, historic districts and golf courses, as well as local bus stops and public parking lots. 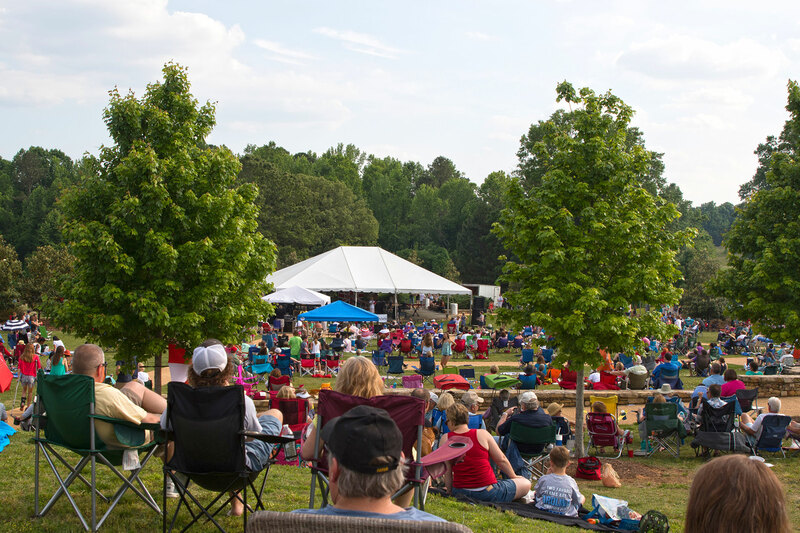 Public properties, such as town hall and the town cemetery; police, EMS and fire stations; public works; the library and post offices; and the Northern Wake Senior Center, are also indicated, along with the town's parks and greenways. Natural resources, including the Wake Forest Reservoir, are also depicted, while schools in Wake Forest are also identified by name and location. Downtown Wake Forest is emphasized on the second side of the map. Contact information for the Chamber of Commerce, the town and Wake Forest Downtown, Inc. are also noted on side two, along with local sites of interest and traveling distances to various cities and towns in our state and region.